Artists Bo Bartlett and Betsy Eby set off to make a film about seeing. They travel the country stumbling upon art sites, characters and luminaries. But then the unexpected happens sending their adventure into unforeseen territory. And the clear becomes unclear. The visible world, a strain to see. A moving meditation, SEE, delivers the beauty of America through the eyes of two artists determined to see art in the everyday. The movie invites us to open our eyes anew and see the beauty and wonder in the world around us. 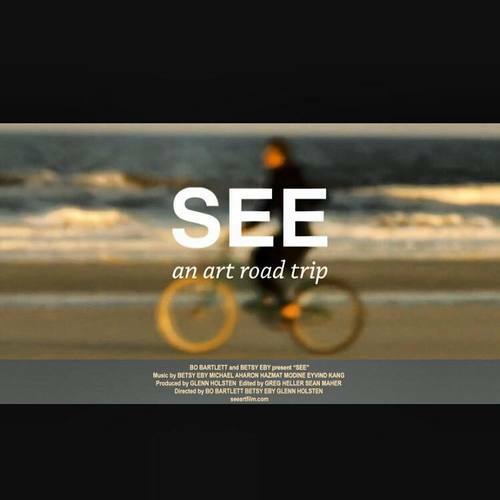 SEE an art road trip from Betsy Eby on Vimeo.